Dubai: Unnoticed and away from the public glare, Carlos Villanueva quietly goes about his task of putting team before self with the hope that Al Shabab’s trophy cabinet continues filling up. The Chilean international has been a true ball player, with his nimble touch and release of the ball creating many scoring chances for his teammates. The 28-year-old, who has seven national caps so far, has been at the heart of the success at Al Shabab. For the past five years now, Villanueva has been a loyal player for the Hawks. Following a year on loan with Blackburn Rovers during the 2008-09 season, Villanueva has made Dubai his home — perhaps becoming the longest-serving professional player at one club in the UAE. The youngest of four children, parents Juan and Cecilia ensured they accompanied their seven-year-old Carlos at the local football academy in La Serena. He graduated through the age groups and, by 1993, he had found a place in the starting line-up at El Romeral at youth competitions. After seven years, Villanueva moved on to spend three seasons with the youth side of Deportes La Serena. After one season with the senior team in his hometown, Villanueva moved on to Audax Italiano, where he featured in 150 matches, scoring 60 goals over four seasons spent there. Finally, his dream move to the Premier League came when he signed a one-year loan deal with Blackburn Rovers. He made 18 appearances for the Lancashire club before getting an offer to move to Al Shabab. “It would have been great to continue in the Premier League, but somehow things were not conducive for me to stay back. I had two options: go back and play in Chile or look for something new. And I got this offer from Al Shabab. I scanned the web and saw that Dubai was not bad to live. I have no regrets for this decision,” he explains. Once here, Villanueva did not have the most exciting debut as he struggled to come to terms with a completely different brand of football compared to the one-touch Premier League style. “The football in England is faster and the players think even faster. But here it is very different, made even more difficult by the weather. But I think I adapted quite well and finished the first season on a good note,” Villanueva recalls. With the club in Al Mamzar going through a bit of a crisis, there were calls for a complete overhaul of players. Then came Brazilian coach Paulo Bonamigo and he liked what he saw in this gifted, energetic 5 feet 8 inch playmaker. “He [Bonamigo] supported me a lot. If it was not for him, maybe I too would have been asked to find a new club,” he admits. With that sort of confidence from the coach, Villanueva flourished as the Hawks went on to win the Arabian Gulf Cup at the end of the 2011 season, followed by the GCC Clubs Cup the following year. At the end of last season, Al Shabab could have finished second to neighbours and arch-rivals Al Ahli. But there was a sudden slump in the performance of the club as they managed just two points from the last six matches to finally end in fourth place, a huge 20 points adrift of champions Al Ahli. And, along with that, the Hawks lost their chance of playing in the AFC Champions League. 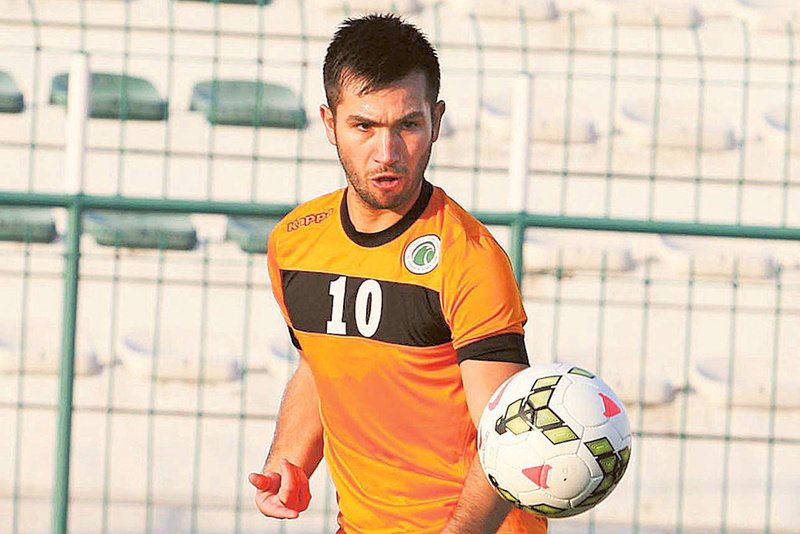 Villanueva is enjoying his best start with Al Shabab with six goals from 10 matches this season. “This is indeed the best start since I came here and I hope I can continue the same way. But my goals must be able to give us victories and this is most important in keeping with our philosophy of teamwork,” he observed. With Caio Junior replacing Bonamigo in the coach’s chair, there is a new belief in the thinking at Al Shabab. “I think he brings in new air. We are now breathing something new. We have got rid of the pressure and we are more relaxed. He is an open-minded person. He not only talks to the players but he listens to them as well. As the coach, he is concerned about everyone all the time and this gives everyone a rare confidence and makes one feel wanted at the club,” Villanueva said. With this new belief has come fresh thinking. “No doubt, it’s a continuation of the team feeling and it is a very nice feeling. Everybody is aware that we are not the favourites to be fighting for any titles as we are not a team that has spent a lot of money or invested in new players,” he said. He has been here for five seasons now, and he has no plans in mind for the future. “Honestly, I have nothing planned for the future. I’m 28 and still have another three or four years of football left in me. In my mind I know I need to work hard and live for the present. “The present now is Al Shabab, where I really want to win a trophy this year. We have four trophy options, namely the GCC Clubs Cup, the Arabian League Cup, the Arabian Gulf League and the President’s Cup. We have a good, strong group of players and we have the chance to get something this season. For my part, I will try to give my best every single day to achieve at least a trophy this season,” Villanueva promised.